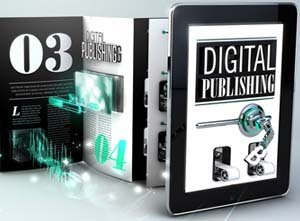 These days merely having a good digital publication is no longer enough to be successful in the publishing business. Thus, the introduction of new technology has produced important changes; which in turn demand the need to implement new strategies to integrate these new means to increase distribution to a much wider audience. This blog deals with three of the biggest changes in the current digital publishing industry: social networks, apps and self-publishing. The social networks revolution: In the past few years, social media has made a huge impact in the digital publishing industry. Two of the biggest players in this sector are Facebook and Twitter, which provide publishers with a new and engaging way to reach their target audience and achieve their marketing objectives via the social media channels. Undoubtedly, using the social networks properly can be an effective strategy if it can be integrated in the overall marketing strategy of the company and proves to be appropriate for the target group. Nowadays, thousands of companies have their pages in social networks as these channels are increasingly growing as new trends in digital publishing. The introduction of Apps: Apps can provide publishers with a new and effective way not only to satisfy the needs of the end readers but also increase the distribution of their digital edition. Different sectors including the entertainment one have successfully used apps to connect with the audience in a more engaging way. Likewise, apps can allow publishers to reach the growing number of mobile devices and tablets users in a new and more effective way. Self-publishing: According to “The independent publishing magazine” ‘Self-publishing has now moved into mainstream online channels through the growth of ebooks and the surge of independent digital publishing platforms developed and supported by retailers like Amazon and Barnes & Noble and the entry into publishing by Apple and Google’. Thus, self-publishing has opened new and exciting opportunities to distribute digital content; which was unimaginable some years ago. In a blog section, we have discussed the growth of self-publishing.